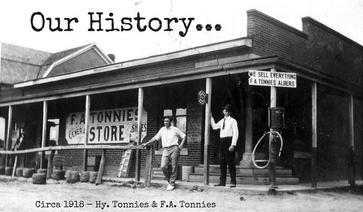 Established in 1912 by Frank A. Tonnies, Tonnies Hardware & Rental was later sold to Frank's son, Vince, and his wife Estelle. 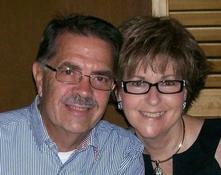 The store remains family-owned and operated by Vince and Estelle's eldest son, Steve, and his wife Susan. Steve and Susan's daughters Stephanie and Sheryl, and grandchildren Ava, Lena, and Owen, are also part of the hardware team, which includes long-time employees Blake, Dave, Gerry, Jacob, Josh, Marcie, and Tony. We are a regional destination for Milwaukee Tools, with the largest in-stock selection of power tools, hand tools, accessories, heated gear, soft gear, storage, and swag. Whether you're a do-it-yourselfer or a contractor, Tonnies Hardware & Rental has everything you need to complete your project, and our knowledge of the hardware industry remains unsurpassed. Steve was born and raised above the store, and his whole career has been dedicated to the store, starting out in childhood assisting his parents. 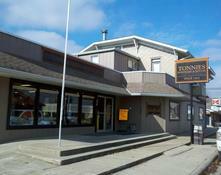 At Tonnies Hardware & Rental, we make your visit comfortable for you. You can choose how you shop. If you're the experienced tradesman and know what you need, feel free to browse and help yourself. Never been in a hardware store or not sure what you need? Shop the way our customers shopped years ago and still do today: stop at the front counter with your list or your question, and we'll gather what you need for you, making it a stress-free experience for you. We pride ourselves on our customer service and our ability to find solutions for our customers. Tonnies Hardware & Rental is conveniently located in Clinton County, 2.5 miles north of I-64 and one block north of Highway 161 in Albers, Illinois. A full line of hardware, consisting of over 30,000 products, in addition to an expansive rental department, fills the 12,000 sq. ft. store. Larger equipment is conveniently warehoused in buildings onsite or on adjacent lots. We look forward to serving your hardware needs just as we have done for the last five generations. Stop in and check us out!